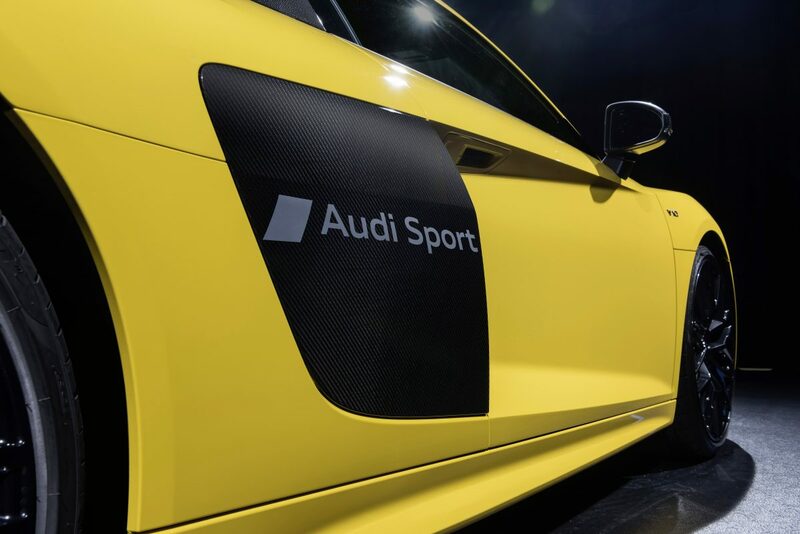 A newly patented process which Audi have developed allows them to blast matte finished text on the painted sidblade of the R8. A new option from Audi for the R8 means buyers can now have lettering or graphics “blasted” (Audi’s word of choice not mine) in a matte finish on the sideblades of their shinny new super car. Although I’m not sure the text option will be very popular, I think people will be queuing around the block to get a graphic, symbol or logo added. This adds another feature in Audi’s arsenal of customisation options. There are plenty of custom R8’s out there but we’re intrigued to see what the average R8 buyer will choose to “blast” on to the side of their new toy. I’m sure we won’t have to wait too long to find out. This entry was posted in Audi News and tagged audi r8, New Options, R8.